That depends on a number of factors, such as the type of fabric, intricacy of job and our current work schedule. We will however give you a clear indication of how long your job will take to complete. I’m not sure which fabric I want. Can you help? We have an extensive range of pattern books containing many different types of fabric from which you can choose. We can also advise on which fabrics are suitable for specific jobs. Do you undertake repair jobs? Absolutely. Whether you need new springs, re-webbing or repairs to torn fabric, we can usually help. I would like my chair to be very firm. Is this possible? No problem. We can provide foams cut to a range of different shapes, sizes and densities. Do you sell upholstery sundries? 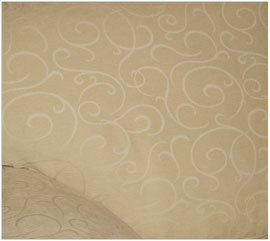 We can supply you a variety of fabrics and leather hides to order. Custom sized foams are available to order. Small items such as glue, springs etc are sometimes available if in stock. 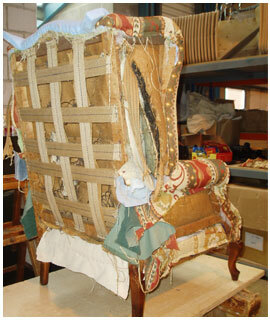 Yes, we also carry out upholstery. work on boats, motorhomes and such like. However, we are unable to work on-site, so fittings need to be detachable. Contact us to find out more. 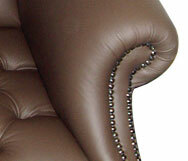 It depends on a number of factors, such as desired fabric, intricacy of job, size and shape of job etc. If you are thinking about using us for upholstery work, give us a call and we'll pop round to take a look and give you a free estimate. Yes. UK law requires that we can only work with fire-proof fabrics.